Over the Thanksgiving weekend, I was lucky to visit a friend in her hometown of Grand Rapids, MN. I ogled the views, ate my weight in Vietnamese food, and brushed her horses (update: they are not just really big dogs). 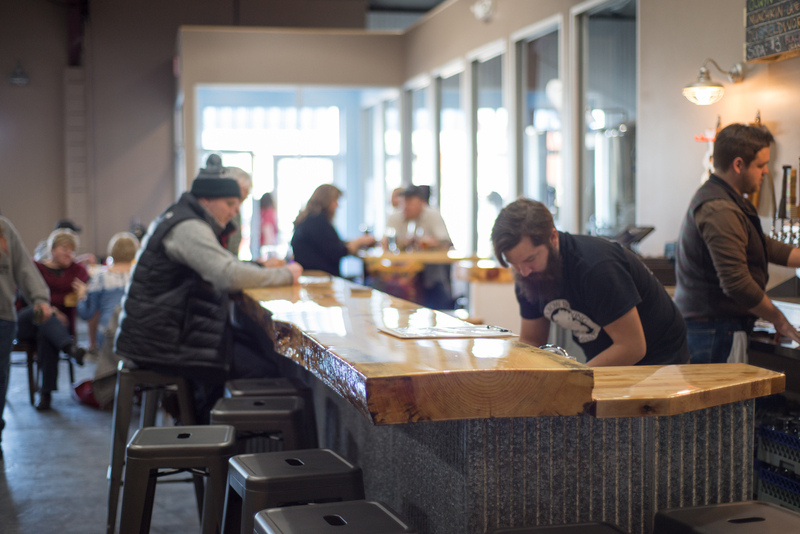 We eventually made our way into town to visit the newly-opened Klockow Brewing. 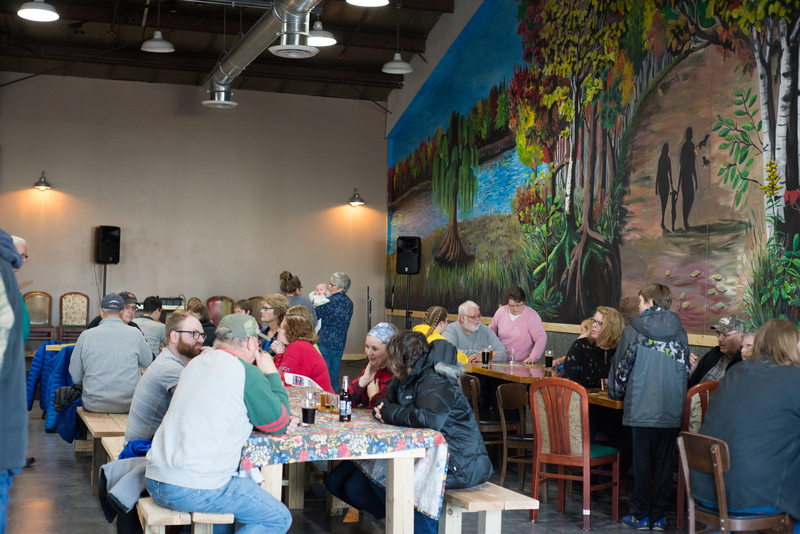 The taproom is unmistakably industrial, but an enormous and beautiful mural makes it immediately cozier. 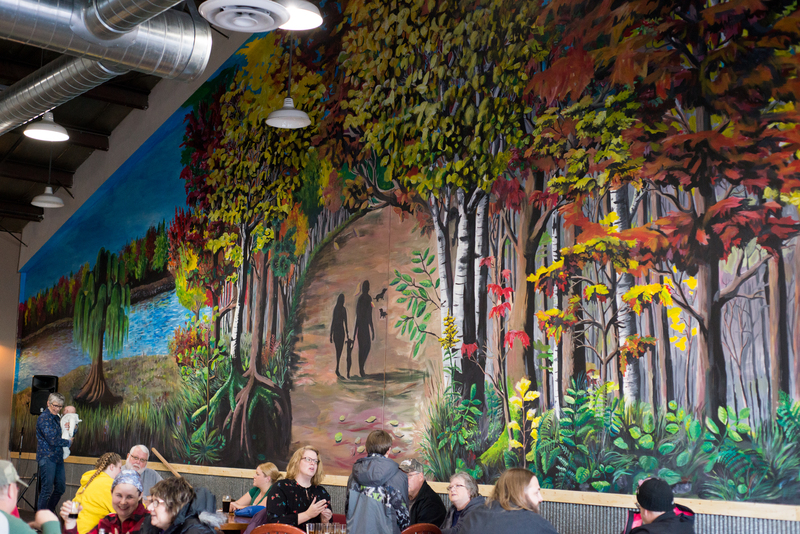 The northwoods image on the wall, paired with pine tables and flights shaped like fish make drinkers feel right at home in Minnesota’s heartland ( P.S. I’m surely making Dad proud with my ability to distinguish a walleye from a northern on those flight boards). 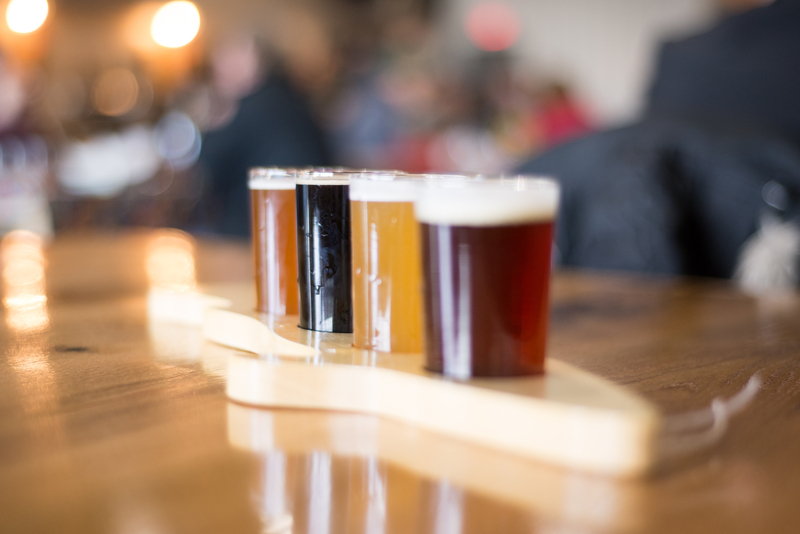 I ordered a wide range of beers, each of which was impressive, yet drinkable. It was the perfect lineup for a body weighed down with post-Thanksgiving food. I couldn’t agree with Nathan more. Even writing this blog leads me on amazing adventures. Naming your journey and committing to it in the long term will bring you all sorts of new experiences. How are we ever supposed to do something great if we never do something different?